If you’re planning a kitchen remodel or designing a cooking area for your new home, it would be a mistake to not consider hiring a kitchen studio from the Czech Republic. From it’s minimal crafted cabinetry to modern open plan layouts, Czech kitchen design has been making great strides in recent years and deserves your consideration. Leading the way are a select few studios who are putting Czech Republic kitchen design on the map. So if you’re done getting inspired by what the Danish, French or German kitchen design studios have to offer, read on and discover what makes Czech design so appealing. Situated near the popular business and shopping area of Anděl lies HVT interior studio – a studio that has been implementing premium custom kitchens from the world’s best manufacturers since 1993. Alongside luxurious kitchen designs, HVT offers services for other parts of your home too, including living rooms, playrooms, bedrooms. They also take care of other interior elements like built-in cabinetry, original wallpapers and various types of flooring. A one-stop shop if you will. Tuček – kuchyně produces kitchens in a range of styles. From modern to classical to rustic – all custom-made from the some of the best materials available in the Czech Republic. Thanks to their flexible kitchen frame system, Tuček – kuchyně is able to create just about any type of kitchen that includes a wide selection of cabinetry and materials. 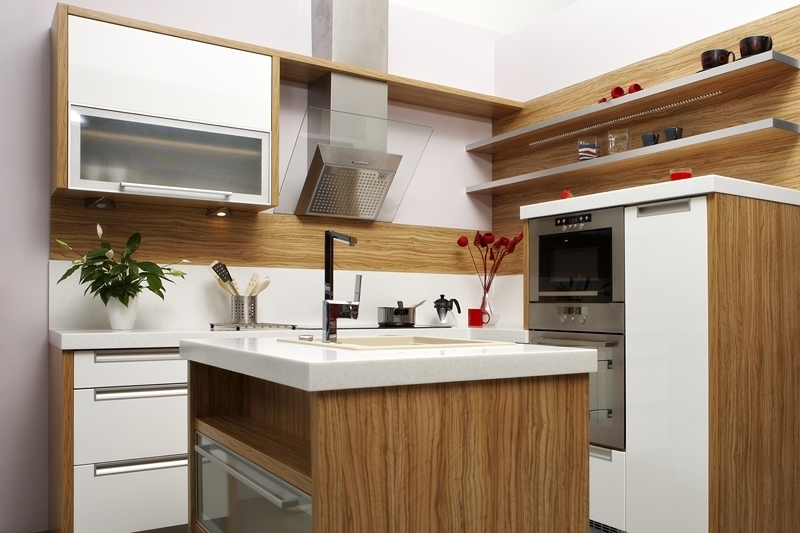 Additionally, Tuček – kuchyně kitchens come equipped with the excellent lift, hinge and pullout systems by Blum. Hanák Nábytek’s production started before World War II, and in 1990 the family operated company started building its own factory in Popůvky u Kojetína. A shiny new design center was built in 2013, a place where homeowners can observe the production of the Hanák’s kitchen designs. The company’s philosophy is simple: total independence. That means producing everything themselves, using no subcontractors. Their premium kitchen concepts vary from mild and traditional to luxuriously modern. The big advantage of opting Hanák Nábytek when choosing your kitchen designer? If you ever decide to modify or expand your kitchen in the future, the necessary elements will always be in stock. Sedlák Interier have specialised in the planning, design, and installation of kitchens in the Czech Republic since 1996. In fact, it’s one of the leading studios on the kitchen furniture market, known for their quality, design and attention to detail. While they don’t create their own kitchen, the company is an exclusive importer of German designer kitchens by Eggersmann and Beeck Küchen. You can see several kitchens by these brands at Sedlák Interier’s showroom in Prague, where you can wander through the 250-square-metre showroom space. It takes a certain level of daring to live in a foreign country. It takes an entirely new level of bravery and tenacity to not only live in a foreign country but to design interiors there as well. That is precisely what Colombian-born (and K!TCHN featured) interior designer Cristina Mejia is doing in Prague. Cristina’s commitment to creating functional kitchen spaces that touch the soul also fuels her interest in environmentally responsible interior design. She views it as the next big challenge for interior designers, who should be considering how to incorporate new materials and technologies into the kitchen and the rest of the home.